I absolutely love anything having to do with witches. As most of you probably know, my favourite holidays are Halloween and Christmas. Yep, I'm a big Santa fan! I have a mountain of hand embroidered blocks stitched that are waiting patiently to be pieced into a quilt top. This one was completed on January 3, 2016!!!!! Last night I decided that it was high time to tackle one of them! I just love how this little quit turned out! It's the cutest quilt top! 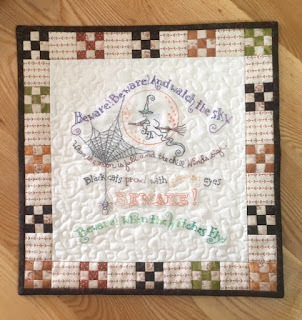 The pattern is called When Witches Fly by Crabapple Hill Studios. The pattern is available at Fibre Junction's website here. Now, I'm all motivated to finish another one of those stitched blocks! Watch out .... unless .... SQUIRREL! I don't know about where you live, but here in the way northeast, I can see Canada from my shoppe, it's been raining quite a bit. Check out how green everything is. My irises are in full bloom! 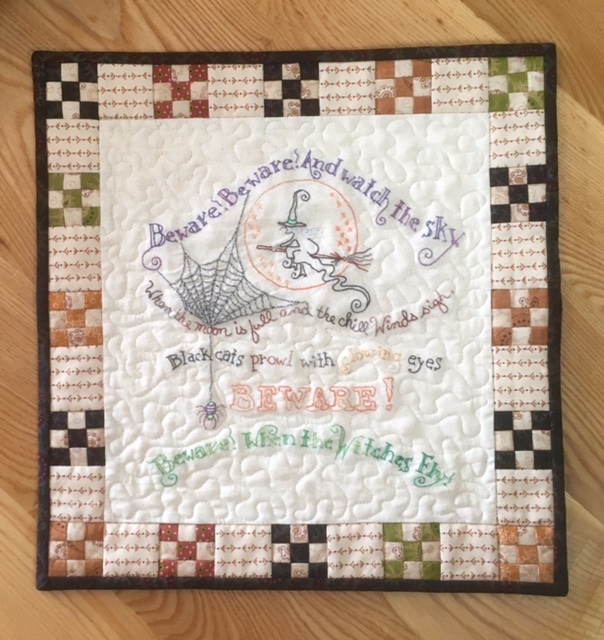 On the quilting front, I am still plugging away at the flying geese quilt! Would you believe that I have 300 more flying geese to make and I'll be in a position to start piecing the top? 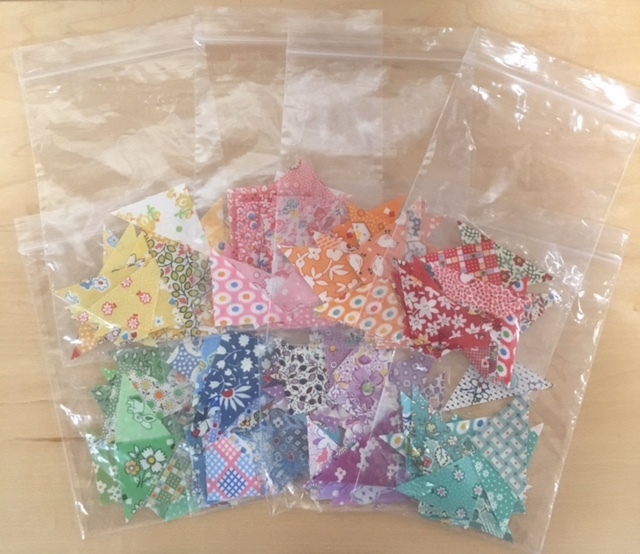 I have decided to keep track of the number of fabrics I am using in the quilt. 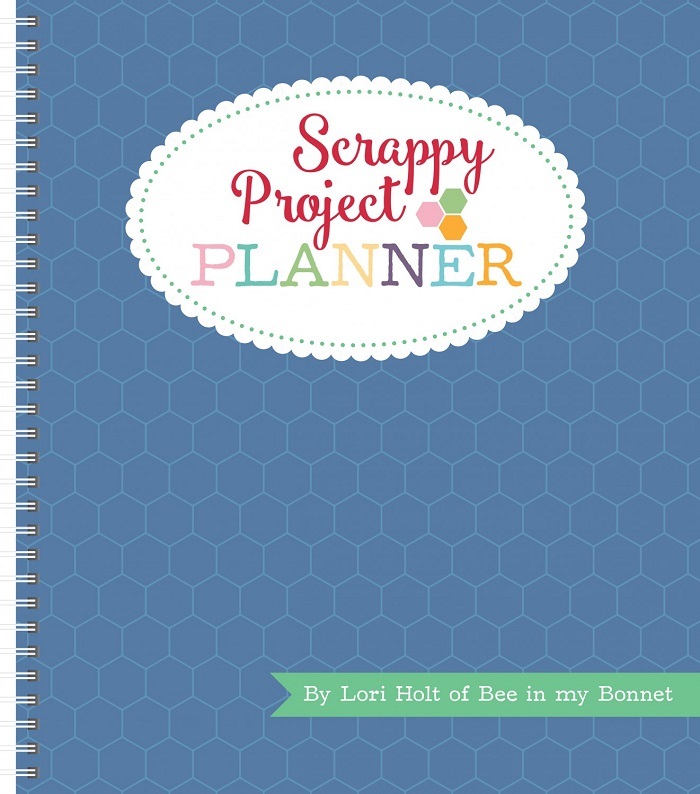 They will all be glued in my Scrappy Planner .... as they are part of the quilt's story. I cannot wait to count the number of different fabrics in that quilt! Thank you for stopping by my little corner in cyberspace! Catch you later! Cheers!